Paradise Biryani Pointe is a trademarked Indian cuisine restaurant chain with its signature biryani, specialities in moghlai and tandoori dishes. With great brand name, comes the great taste! 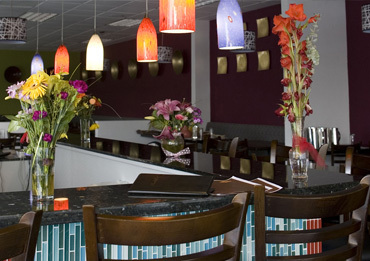 Paradise Biryani Pointe is the Pioneer and a successful Indian Restaurant Chain in USA. Paradise Biryani Pointe is home to authentic Hyderabadi Biryani in USA. Paradise Biryani Pointe maintains its excellent taste and consistency by its unique recipe and Spice formula perfected by it over the years. Paradise Biryani Pointe is proud to say that it takes inspiration from its die-hard customers who love our food so much. Paradise Biryani Pointe loves to open new Locations to tickle the taste buds of gourmets across the cities in USA. Paradise Biryani Pointe has its presence at 45 locations in12 States. Paradise Biryani Pointe will be open in 16 states and 60 Locations shortly. Please check out for our LOGO when you visit any of our locations. We use 100% Halal meat that is free from hormones and antibiotics. Good taste comes with best ingredients. And we’re finicky of your health as well! By U.S. law, all chicken available today must be raised without growth hormones. But we've taken it a step further by sourcing 100% of our chicken from selected farms that raise them without antibiotics either. We also avoid suppliers who may use other additives in their feed, like Arsenic. Animals raised naturally in a humane way and fed on a vegetarian diet form part of our supplies. There are ranchers whose Goats are raised faraway or in deeply bedded pens and are never given antibiotics. We patronize this style of ranching and prefer naturally raised animals’ meat and we keep sourcing 100% of our meat from producers who stringently follow these guidelines.